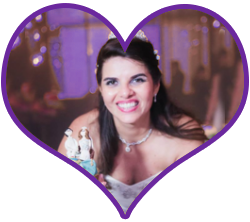 Sign Up to Receive The 5 Trade SECRETS To Magnetizing the Love of your Life! I give Renee Piane Enterprises permission to send me email about products, services and special offers. 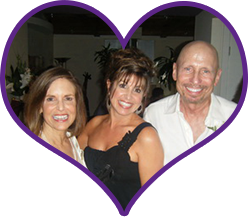 Renee’s book created the path for me to find the love of my life. I have historically ‘stumbled’ in and out of relationships. 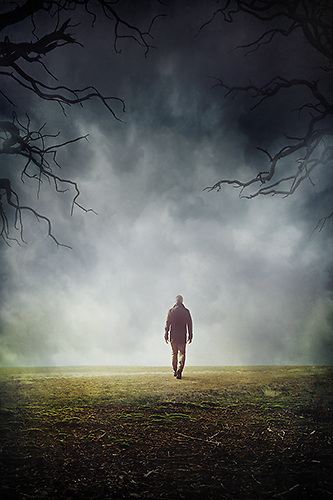 After finishing Renee’s book, my vision was much clearer and I was no longer allowing myself to fall blindly into my next relationship as if I was playing a game of ‘pin-the-tall-on-the-donkey’. The questions in Renee’s book are not easy, but the more soul searching and honest you are with yourself, the faster you will find your soulmate. Renee really made me look at my inner-self, what qualities I truly want in a life partner and who I wanted to become to attract such a person. I have never been happier in a relationship. I am with the love of my life and my best friend. Renée Piane is one of a kind. I call her ‘the love whisperer’ because she opened my mind, body and soul. After following all of Renée steps & rituals, I met and married the most incredible man. Together, we have a beautiful baby girl. Not only does Renée open hearts, she heals them! Anyone that has the privilege to work with her can expect epic and outstanding things to happen in their lives. If you’re looking for love, you know who to call. Renée’s guidance is healing, empowering and life changing. For the first time I feel protected and free in the world of love and romance. Thanks to you, I am married to the man of my dreams. I had totally shut down and closed myself off to love. I was so disappointed by the relationships that didn’t work that I truly believed I wasn’t meant to have love in my life. When I met Renée, I was dedicated to never dating again. In one short conversation, Renée tapped into my sadness and convinced me that it was possible to find love. I immediately committed to her program. Within two weeks, I met the most amazing man. Get Ready for Love helped me to navigate the fragile beginnings of our relationship. I would definitely recommend Renée to anyone going through a divorce and re-entering the dating world. 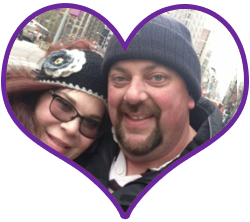 After being married for 15 years I found myself thrust into the adult dating world and I needed her help! 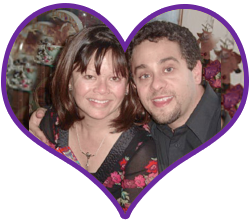 Renée helped me to see that loving myself was the first step towards bringing love into my life. She taught me so much about how men think and made me a more confident woman in dating and life. 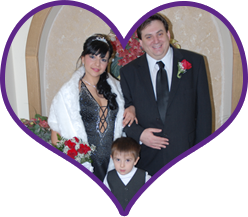 I am now happily married and it’s a result of getting to know myself and healing my heart. So, I just wanted to say how grateful I am that I found you. I met my beautiful wife, Angelique, at the second Rapid Dating event I attended. Angelique was so nervous that she drove into and exited the parking lot twice and actually started to drive back home. Luckily, she got up the nerve for a final U-turn, which brought her right into my life. Our first date was two days later. We had planned on just meeting up for a coffee but ended up having so much fun we decided to see a movie as well. A year and a half later we got engaged in a helicopter! We have been happily married for a few years and are still so grateful for Renée . After a divorce then becoming a widow, I decided that the next relationship I would enter into would be done with my eyes wide open. 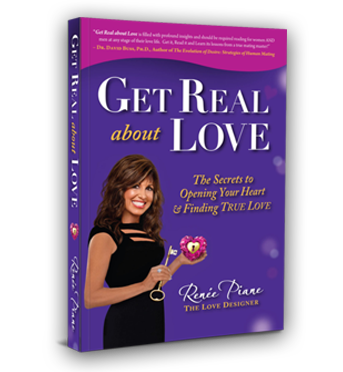 I decided to join Renée’s Get Real & Get Ready for LOVE class. It was the best decision I’ve ever made. She opened my conscience and helped me to step back, reassess my past and look to the future. Renée’s class gave me so much to think about and a new approach to finding love. Well, I listened to her advice and practiced her secrets and now have the most adoring man! He thinks I came from another planet and holds me on a pedestal. 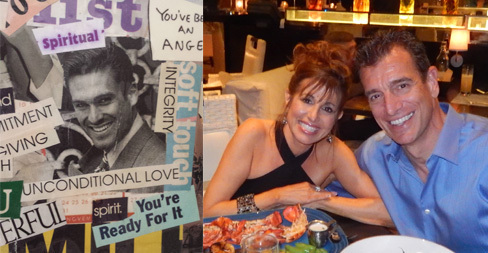 Renée introduced Gary to TeriAnn at a Beverly Hills event after meeting Renée's husband Joe at California Pizza Kitchen and encouraged him to come to an event. It was their first and last singles event and as they say "The rest is history." 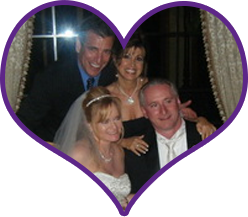 We attended their awesome wedding on March 19, 2010 at the Trump Country Club! Congratulations to one more happy couple! Here is the bride and groom on their special day! "We got married after meeting at a Rapid Dating event over 5 years ago and having a mix up on our match pages. Renée it was because of you and your wonderful events that we are together. We are so happy! Thank you so much! " 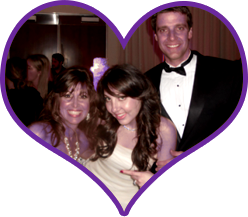 Renée Piane helped me to get to my wedding day with my beautiful wife Jasmine. 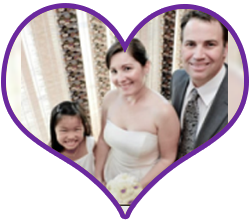 It was hard to deal with the complexities of marrying someone from another country who didn't speak English, but Renée made it so easy. She gave me so much great advice and she got my house ready so my wife would not go crazy and would be comfortable when she arrived. We have been together for 7 years now and our son is 10 years old. I'm am so grateful for Renée's help and support." Get Direct Advice From Renée Piane. She Deals With "Matters Of The Heart" Every Day! 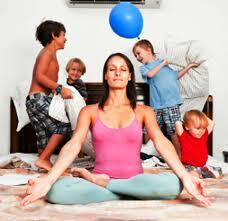 Powerful & Personalized Coaching Programs that will Transform Your Love & Social Life! 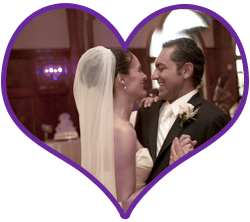 Our MENU of Specialized Services that will Support You to Achieve Your Love Vision. 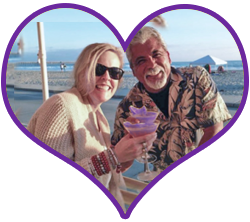 Classes for Successful Singles Looking to Get Back in the Game & Find the Love of Their Life. 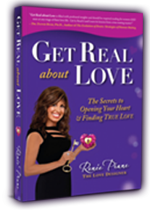 GET REAL about LOVE The Secrets to Opening Your Heart & Finding True Love. Renée's New Book for Busy Successful Singles who are Ready to Find Love!